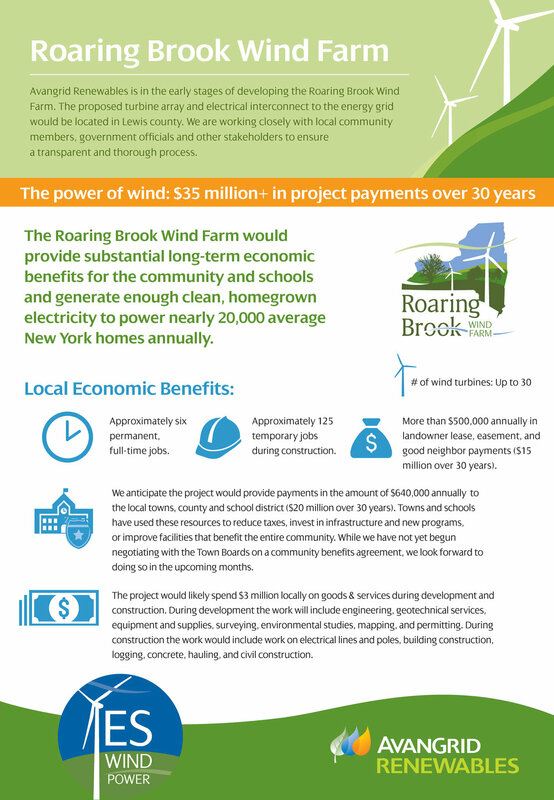 Avangrid Renewables is in the early stages of developing the Roaring Brook Wind Farm. The proposed turbine array and electrical interconnect to the energy grid would be located in Lewis County. Avangrid Renewables is in the early stages of developing the Horse Creek Wind Farm.The proposed turbine array and electrical interconnect to the energy grid would be located in Jefferson county. The Canisteo Wind Energy Center is a new wind energy project being developed by Invenergy in Steuben County, New York. The Orangeville Wind Energy Center is located in Wyoming County approximately 40 miles southeast of Buffalo. 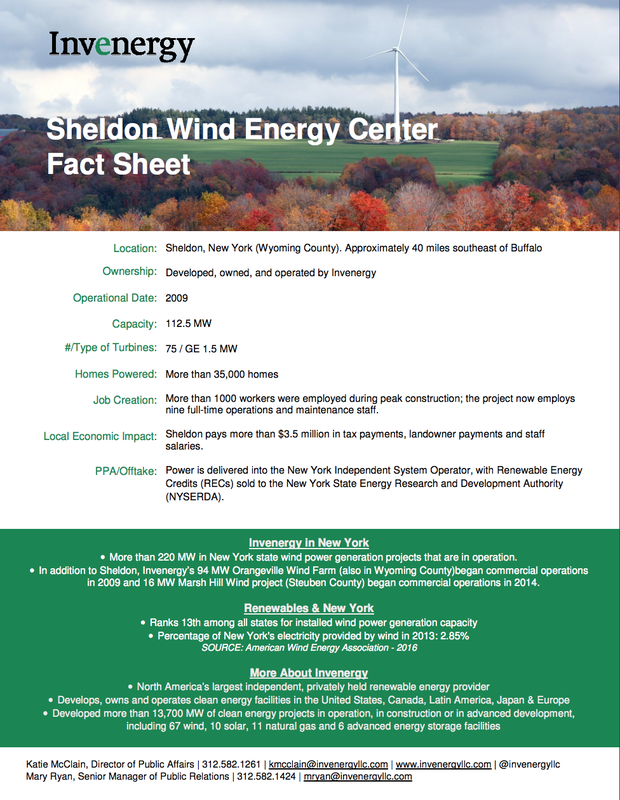 The Sheldon Wind Energy Center is located in Wyoming County approximately 40 miles southeast of Buffalo.